It's difficult to stand out in the battle-royale genre right now. Fortnite's bright and zany combat has attracted over 125 million players, while PUBG stands firm with its slower, military-inspired shooting. Blockbuster franchises such as Battlefield and Call of Duty are readying modes inspired by the pair's breakout success. If you're a newcomer like Automaton, a 40-person studio based in Cambridge, England, how do you differentiate and, more importantly, persuade people to switch from the competition? With larger maps and 1,000 player skirmishes, apparently. 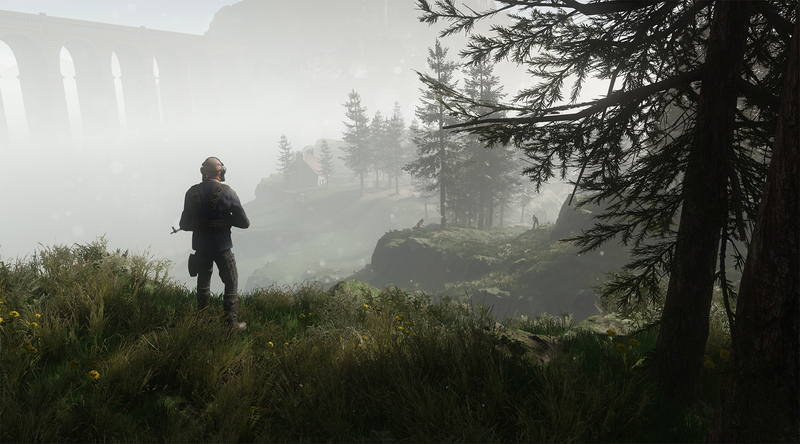 Mavericks: Proving Grounds is a hugely ambitious game. Fortnite, PUBG and similar battle-royale titles currently cap out at 100-player deathmatches. Automaton is promising 200- to 400-player bloodbaths at launch later this year. Five-man teams will compete in 1,000-person gauntlets soon after, according to the company. The matches will supposedly take place on a 10-by-10 kilometer map, dwarfing those offered by its competitors. And as players creep around the world, they'll find destructible buildings similar to Rainbow Six: Siege and realistic fire that can quickly spread across fields. But that's not all. Players will leave footprints and blood trails, according to the studio, which can be spotted by other competitors. Empty med kits, weapon magazines and bullet casings will also lie in the grass, waiting to be uncovered. As you hunt down other people, roaming wildlife will come into play, providing cover or, if you're not careful, giving away your position during crucial sneak attacks. Paired with a day and night cycle, these features, the team hopes, will provide more intense and strategic combat scenarios to give players more information and flexibility in how they approach each match. Mavericks' battle-royale mode will sit inside a vaguely-defined MMORPG experience. The game will have a town called The Capital, which acts as a lobby for the last-man-standing matches. Here, the company says, you'll be able to customize your character and upgrade your weapons before heading into the fray. There will also be banks, shops, auction houses and a range of quest-giving NPCs. The Capital will be part of a "persistent open world" that launches in 2019. What you will do beyond battle-royale matches, though, is unclear right now. The MMO element is important to contextualize the violence, according to Automaton CEO James Thompson. Books and movies that use the battle-royale format -- the original Battle Royale novel by Koshun Takami, for instance, and The Hunger Games -- often wrap the bloodshed around larger political stories. They give the hero a reason to survive and provide consequences for their actions outside the ring. 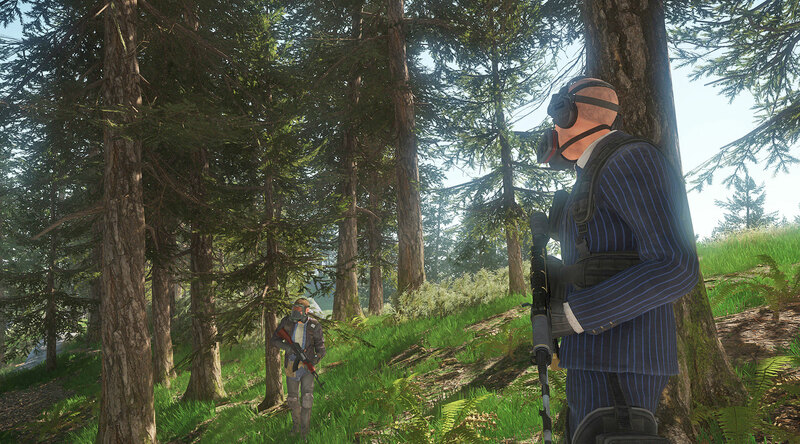 "Mavericks: Proving Grounds provides that broader narrative," Thompson said. "It's more of a simulated world. One with narrative, and one that's more believable. That setting, we think, even if you're focused on session-based games, makes it a richer experience." Automaton has some MMORPG experience. Many of its staff worked on Runescape, the popular but visually primitive browser game, and Eve: Online, the deep-space-economy simulator, before joining the company. Furthermore, Mavericks isn't the team's first game. The studio released Deceit, a multiplayer horror title, through Steam Early Access in 2016. That title, though, is based around a small group of players trying to escape a house or, if they're chosen to play a disguised monster, kill their fellow competitors. It's a far cry from a 1,000-player battle royale. Automaton is banking on SpatialOS to make Mavericks work. The much-hyped platform, built by a secretive London-based startup called Improbable, allows developers to create large, persistent worlds that many people can inhabit simultaneously. Thompson calls it a "fabric layer," which sits between the game engine and a cluster of remote servers. Together, they can track each match and figure out what information is necessary for every player at any given time. "That's not been done effectively by any game before," he said. "That completely changes the landscape in terms of how much we can simulate and how many players we can support. Because if you're just turning around in the world, the system itself knows what it needs to send you and at what rate, so you're not just getting all of this information between all of the different players, for no reason, all of the time. The distributed system [SpatialOS] is able to handle that load." "All the exciting-looking stuff comes at the end. That's just how it works." It's a bold claim, and one that's difficult to judge given the early state of SpatialOS. Aside from Worlds Adrift, a skyship-riddled MMORPG developed by Bossa Studios, it's hard to find a playable game built on the platform. Improbable has given its support to a bunch of other titles, including Scavengers and Seed, but almost all of them are early in development. (I tried a social VR experience called the MetaWorld in 2016, which is yet to come out.) The potential of the platform, then, and its ability to deliver what Automaton is promising, is still a mystery right now. I played an early Mavericks demo with four other people at E3. The matches were slow, tense affairs, with lots of careful flanking and precision shooting. Many of the game's headline features, though -- the high player count, for instance, and wildlife -- weren't present. "Right now, we have to look at it in different demos," Thompson said, "and show different things." Most of the team's efforts have been focused on back-end, he said, which is why the environments and character models were rough, too. "All the exciting-looking stuff comes at the end," he said. "That's just how it works." Automaton is aiming for a closed beta in August. The 400-player battle-royale mode will launch publicly later this year, followed by the 1,000-person matches and, finally, the persistent world and MMO trappings in 2019. If the team can deliver on its vision, Mavericks has the potential to dethrone Fortnite and usher in a new generation of battle-royale titles. One with larger environments, an MMO backdrop, and stories that provide greater meaning for your actions. That is, if Epic Games and the PUBG Corporation don't do it first. Fortnite, in particular, has changed dramatically since its release last September. Epic Games is determined to capitalize on its success and keep players happy with new modes and tweaks to its construction-based gameplay. There's a good chance the company, and many of its rivals, are considering features that are similar to Mavericks. It's on Automaton, then, to strike first and prove its take on the genre is worth playing. 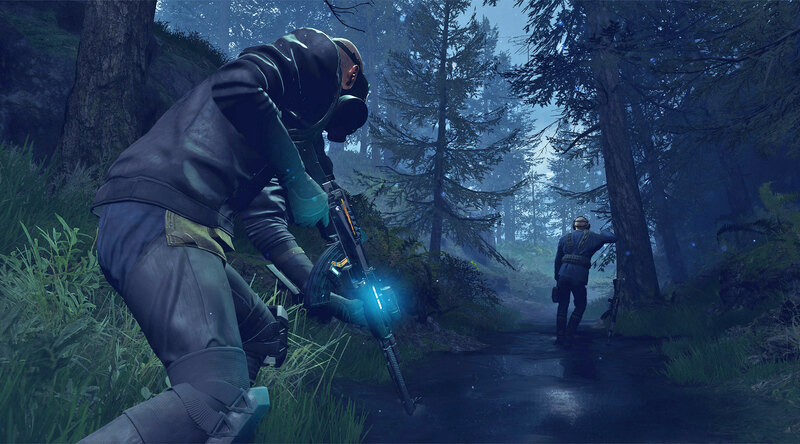 "It's difficult to showcase to everyone, certainly before our beta, what it means for this world and battle-royale experience to co-exist," Thompson said. "I think people have a lot of preconceptions about the battle-royale genre because of its popularity over the last couple of years. But when we say battle royale, we mean a deeper experience. It's difficult to describe. I think people are going to have to see it."